Grandson to the Chief of Lifou, a small Pacific Ocean island which is part of New Caledonia, Ykson, began to sing at the age of 12 and play the guitar at 15. 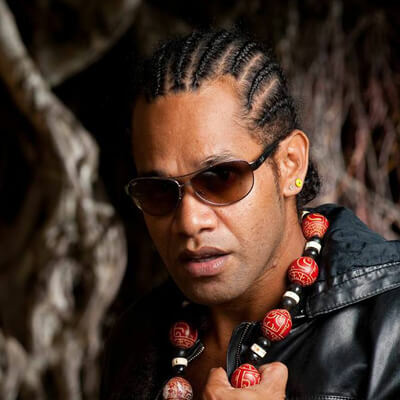 He soon performed in public for the first time, at local community festivals in Noumea when he was 16. Since then he has constantly performed at fairs and festivals worldwide. Ykson was born in Noumea’s working-class district of Montravel, the birthplace of New Caledonia’s new music. Daily life in these districts is one of his main topics of inspiration, and his words speak to all children and social housing inhabitants in the world. With one constant theme: a positive view of the world born from a disconcerting poetic vision. Marked in his life and music by the reality of Caledonian society, he sees music above all as a means of communication. His music speaks both to ordinary people and those “high up”.